Thailand, Day 7 | Hujambo! I’ve been jotting down notes on my phone as I walk around Thailand. I don’t have time to write long posts, so here’s a list of observations, activities, etc. 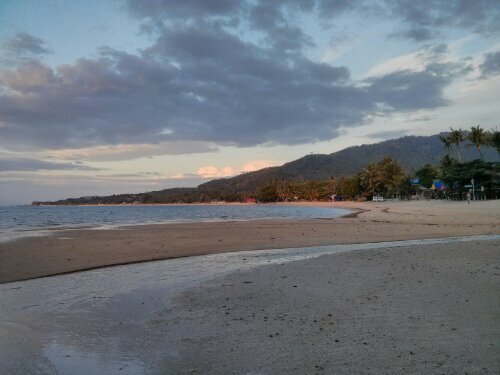 Still in Lamai beach on Koh Samui. This beach is so much more calm than Chaweng and Nathon. If you want to get drunk and stumble around yelling, don’t come here. Remembering how I used to love going to body surf at 8 am in California, I woke up early to go see the ocean in the morning. 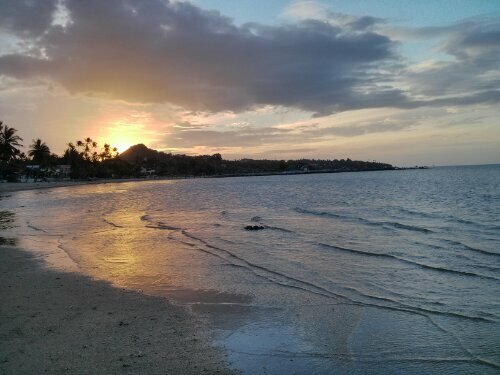 The sun was still coming up at 6:15, and the beach was so peaceful. I met some really cool people from Iceland on the bus from the dock to the train station, and we were so busy talking about Game of Thrones and the inevitable rise of the African economy that I missed my train in Surat Thani; it just left, and I had no idea it had even pulled in! Sneaky. Luckily there was another one 20 minutes later, so the only harm done was having to pay for another ticket, 700 baht ($23). Oh well!